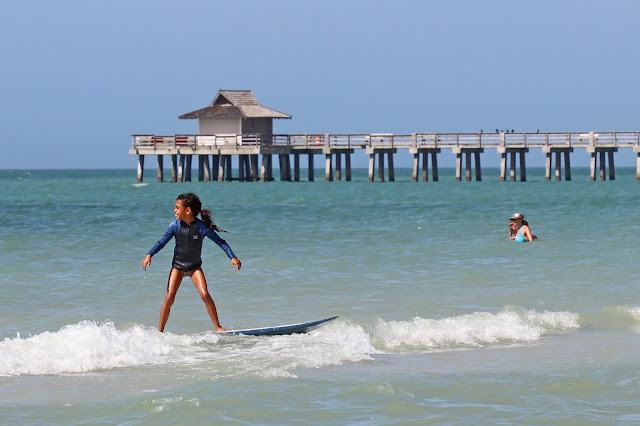 Probably no older than eight, this little surfer girl rode the waves at Naples Beach. Dad coached and encouraged her. The March theme for City Daily Photo bloggers is "Play." To see other interpretations, click here. She looks terrific on her board. 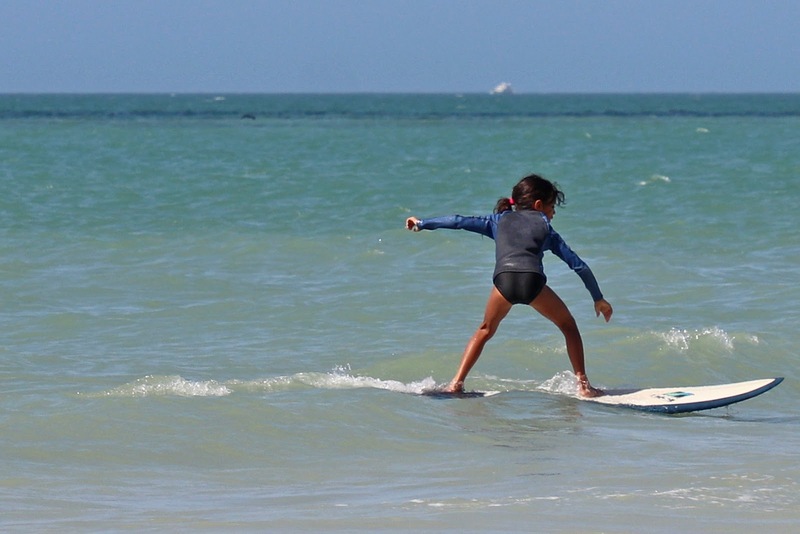 Just wait until she becomes a teenager, she will be ready for the big waves. I can feel the thrill of surfing from your photos. That's probably the best time to start, when you are still fearless! She certainly knows what she's doing! She is wonderful, Jack! I wish I knew how to surf! She looks like a natural!! Wow, she is good for such a young person! 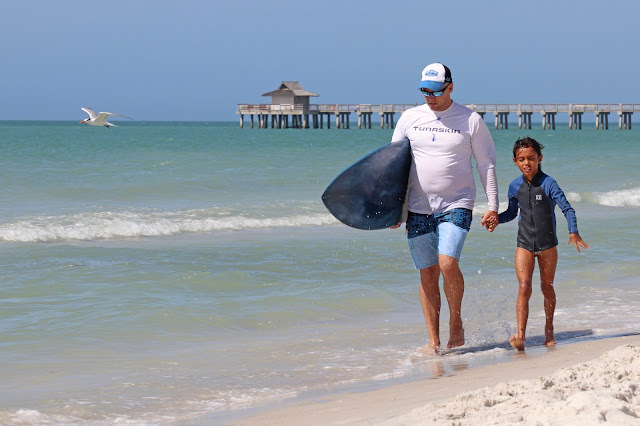 A great father and a talented young athlete!